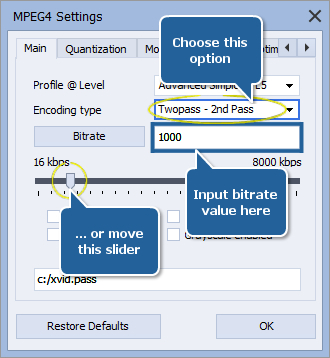 How to perform multi-pass conversion with AVS Video Converter? the most dynamic scenes turned out to consist of "square blocks" (to look smart such scenes require more bitrate value or a less quality quantizer value in comparison with those of the statical ones ). 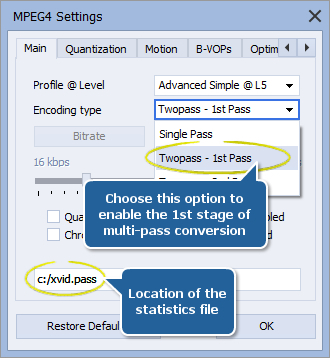 Note: multi-pass conversion runs in two stages. 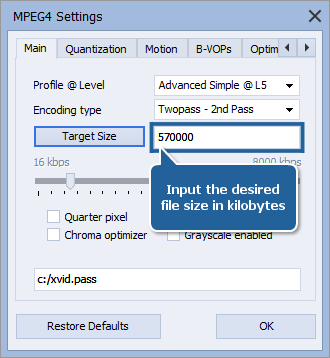 The first stage is used to analyze the frames of your input video file, the resulting information is saved into a statistics file with the .pass extension by default. 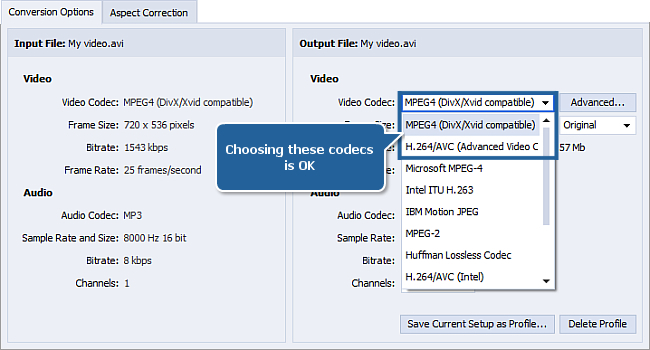 No matter which codec you assigned, click OK in the codec settings window to save changes. Note: the second (and the final) stage uses the statistics file information obtained during the first stage. 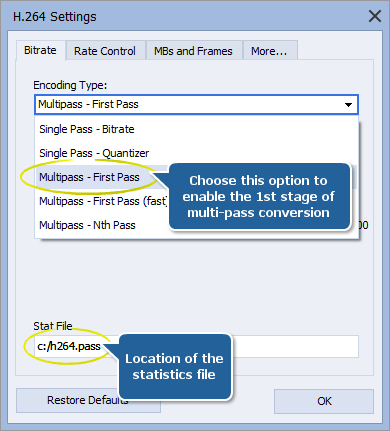 That's why if you assigned your own directory for the statistics file, be sure the file still exists there before starting the actual conversion otherwise no multi–pass conversion will be applied. 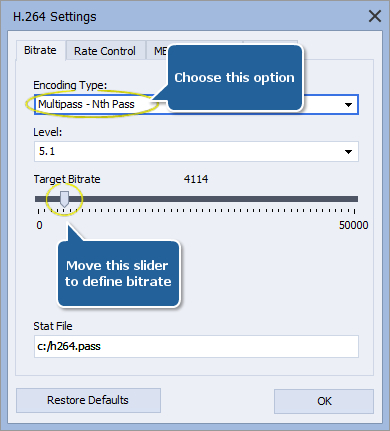 Whatever codec you chose, click OK in the codec settings window to save changes, you will see the Conversion Options tab anew. 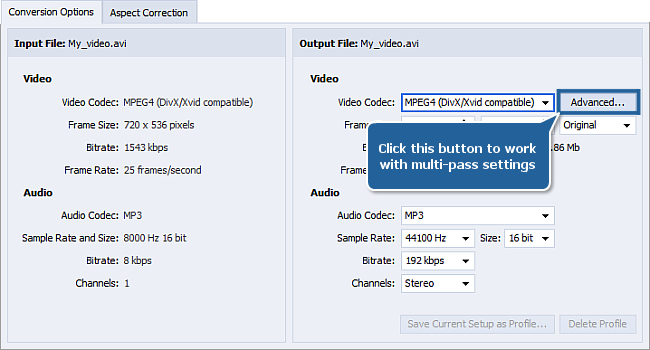 Set the necessary parameters for the forthcoming converted video in the Output File section. Have patience and wait for the process to finish up. 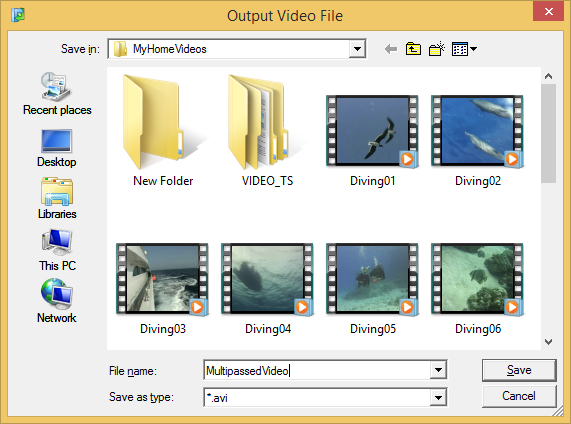 The converted video can be found in the destination folder, run it with a media player and compare its quality to that of the same video encoded in single-pass mode.